Despite the fact that vinyl records have been succeeded by a litany of new digital audio formats, records are anything but dead. In fact, they’ve even seen a resurgence in recent years. 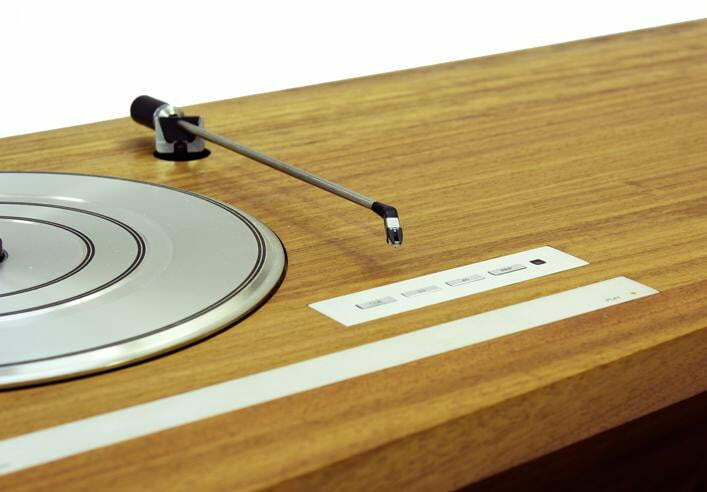 Vinyl sales saw a 32 precent increase in 2013, and they’re showing no signs of slowing. We’re not entirely sure what’s fueling this return to vinyl – maybe it legitimately sounds better, maybe it’s just nostalgia – but one thing is certain: a decent record player is something you should definitely have in your house. Furthermore, having a good way to display your tightly-curated record collection is a must as well. There’s nothing quite like flipping through a healthy stack of old LPs, so it’s important that your collection is visible, accessible, and above all, inviting. This drool-worthy record bureau from U.K. furniture designer Hugh Miller kills both birds with one stone, acting as both a record player and a storage cabinet. It’s made from a band of solid Iroko – a hardwood which originates from the west coast of tropical Africa, sometimes called African Teak. 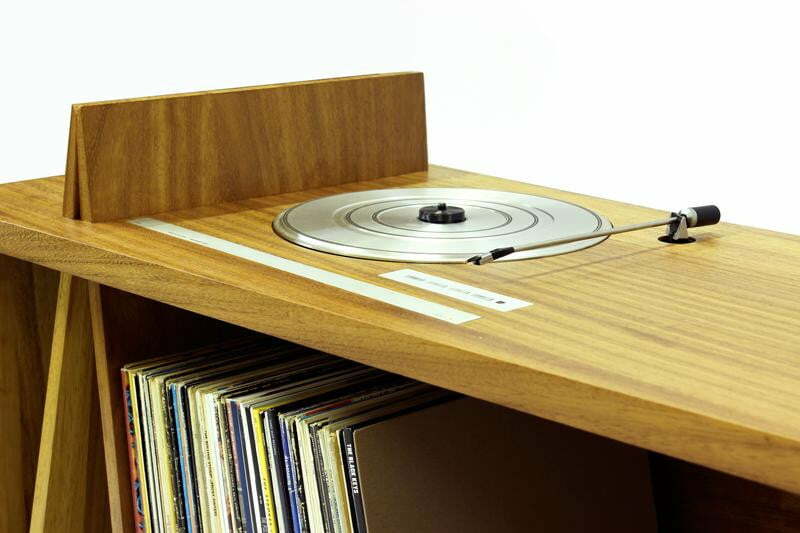 The wood is folded in clean and is set on top of a 1985 Bang and Olufsen turntable, which is seamlessly integrated and complete with all its original controls. 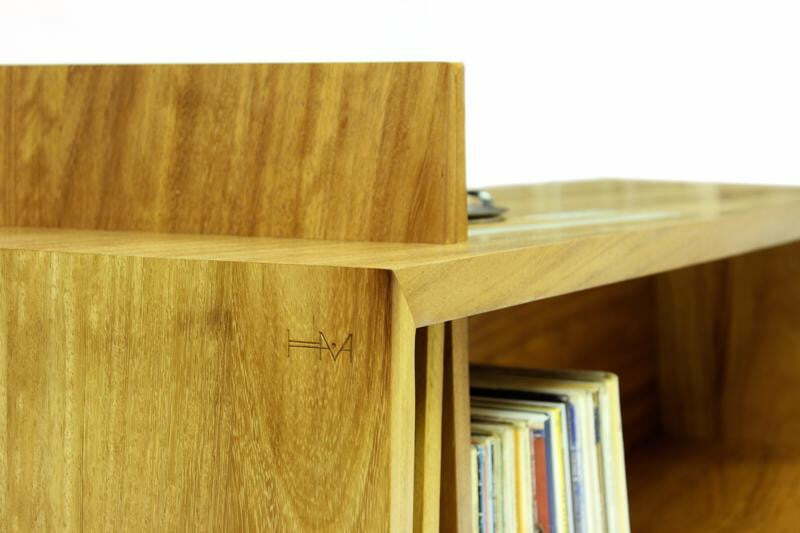 The folded timber intertwines and punches through itself to create an angled shelf for record storage, as well as an upturned end you can fill with books, magazines, and whatever else. The Folded Record Bureau is being made in a limited edition run of ten pieces, each inscribed with a makers mark and edition number, priced at £4,950 (US $8,098) + shipping costs. Contact Hugh Miller directly via email at hugh@hughmillerfurniture.co.uk for more details.